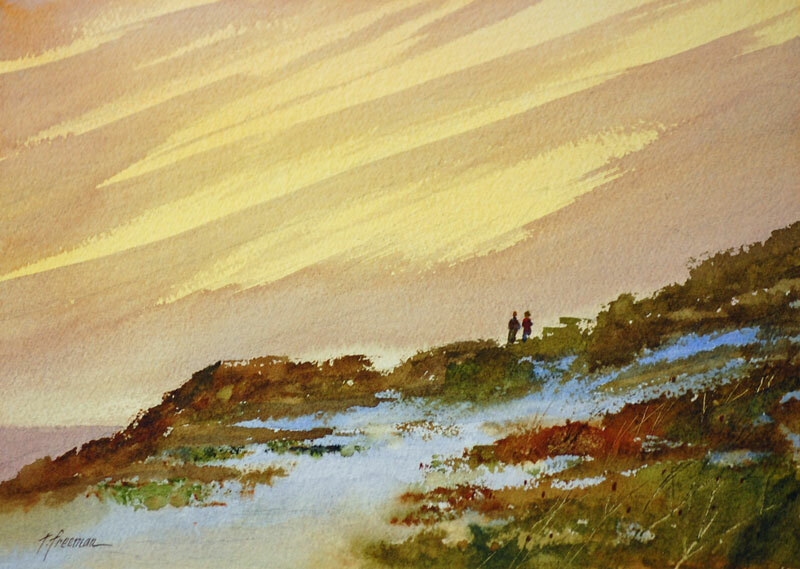 Thomas Freeman Original Watercolor Painting: "An Evening Walk"
I saw a sky like this near the ocean and decided to use it in a painting. It looked a bit lonely, so I decided to add the figures. I start most paintings with the sky which sets the mood and direction of light.